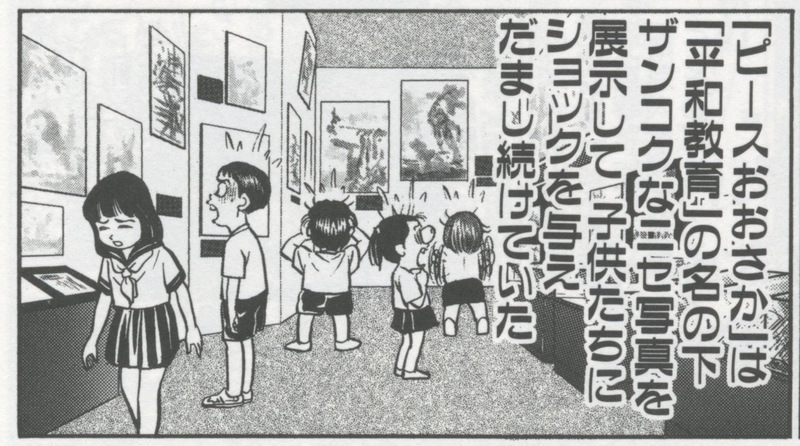 Japanese nationalist manga artist Kobayashi Yoshinori depicts children being shocked by the exhibits at Peace Osaka. Asia-Pacific Journal. From the Cuban Revolution that almost wasn’t to the Sushi Craze of 1905, here are this week’s top picks in imperial and global history. Fidel reached for his sidearm just as a Mexican policeman put a gun to the back of his neck. It was June 20, 1956, and revolutionaries Ernesto “el Che” Guevara, Cuban President Raúl Castro and his brother Fidel would be arrested within hours. The three men spent weeks in jail, and might have been detained longer, had a former Mexican president not intervened to help gain their release. On 30 April 2015, the Osaka International Peace Center (Peace Osaka) reopened after its “renewal” (rinyūaru). After opening in 1991, Peace Osaka became known as one of Japan’s most forthright museums, certainly the most forthright publicly-funded museum, examining Japanese wartime aggression and atrocities. However, in 2011, the Ishin no Kai (Japan Restoration Party) led by Hashimoto Tōru took control of both the prefectural and municipal assemblies in Osaka. Hashimoto’s conservative credentials regarding war history became world news in 2013 and 2014 when his controversial comments about the “comfort women” precipitated a storm of international protest. But well before then, Hashimoto and the Japan Restoration Party had launched a budgetary and administrative assault on Peace Osaka and another progressive museum in the city, Osaka Human Rights Museum (Liberty Osaka). Under direct threat of closure from Hashimoto and his party if its exhibits continued to be “inappropriate”, Peace Osaka embarked on the first major overhaul of its exhibits since opening a quarter of a century earlier. The museum closed on 1 September 2014, its old exhibits were discarded, and the museum reopened with new exhibits on 30 April 2015. Sumiteru Taniguchi was 16 when he witnessed what a nuclear weapon could do to a person. He was delivering mail from his bicycle in the city of Nagasaki when the atom bomb burst just over a mile away on the morning of Aug. 9, 1945. The blast threw him and his bike 15 feet while an otherworldly heat melted the skin off his left arm and back. He awoke the next morning amid a field of corpses; it was three days before rescuers realized that he wasn’t one of them. For the next several years, he lay prostrate on hospital beds, often pleading with doctors to end his life. Now a frail 86-year-old who suffers from recurrent tumors on his back, he has spent the last 55 years campaigning for nuclear abolition, often with other hibakusha — survivors of the bombings. recording wull be secretly uploaded to you account.